Lose your balance – lose your strength we say at TiP. Balance is fundamental on more levels (from life to boat), today we will only discuss balance as a motor ability. It is an often neglected ability that deserves more attention from coaches and athletes. One more of those hidden qualities the best paddlers have, but are hidden inside their effortless, rhythmical strokes. Very often beginners are taught paddling in a hurry, so that they can be included in a training group as quickly as possible. Often they are also pushed to follow a plan designed to improve physiology, speed or power in the boat, long before their balance allows them to execute such tasks. This in turn leads to a technique not optimized for speed- but for stability and injury avoidance. Beginners should be given enough time to master balance and technique sessions should form a base from where to build the work capacity and speed in the boat. 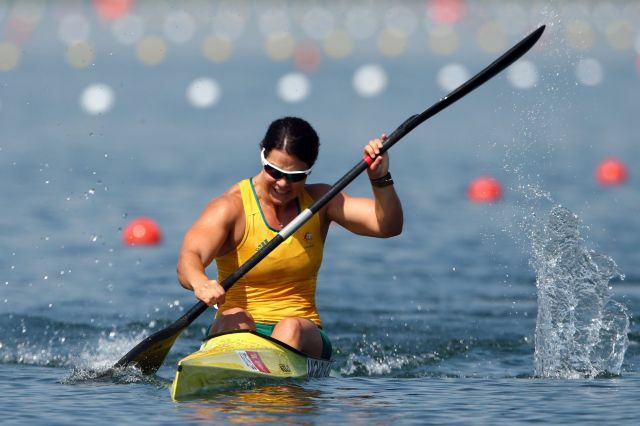 Even with advanced and top paddlers balance remains an important issue. All the strength and power they posses on land can be used in the boat only if balance allows it. Balance training can be part of warm up, cool down, recovery sessions or even the main part of a session for beginners. Make sure to include balance training in your routine and you will soon see the effects it has on posture, boat glide and stroke efficiency. This entry was posted in Blog ENG. Bookmark the permalink. Get our latest news about TiP training camps, training & technique tips and other interesting stuff! Are you a coach or an athlete?